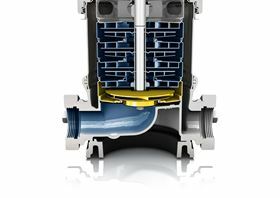 KSB Group’s new impeller for its Movitec multistage high-pressure pumps, last year’s Top 10 pump business stories and the KSB FlowManager app were the most popular articles on the World Pumps website in August. KSB Group has developed a special impeller for its Movitec multistage high-pressure pumps, which improves the pumps’ suction characteristics (NPSH value). Nikkiso, Interpump, Ebara, Grundfos, Colfax, Flowserve, Wilo, Ruhrpumpen and Sulzer feature in the 10 most popular business stories on the World Pumps website during 2017. The new KSB FlowManager app allows users to communicate with their pumps and operate and configure them.